GOAL! 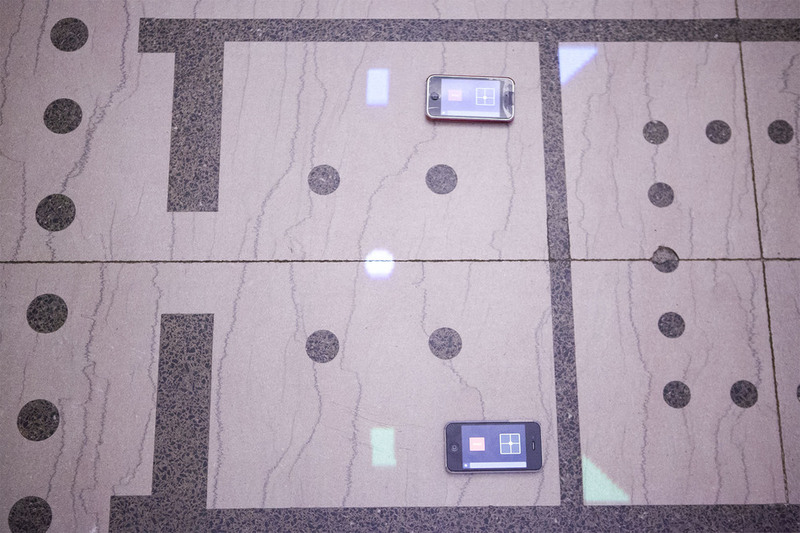 is a site-specific, augmented projection game installed on the first floor of the College of Fine Arts building at Carnegie Mellon University. This was made for Bob Bingham’s class on Temporary Art in Public Space at CMU. In this project I was interested in intersecting virtual space with real space and experimenting with turning real-world components into level designs for games. 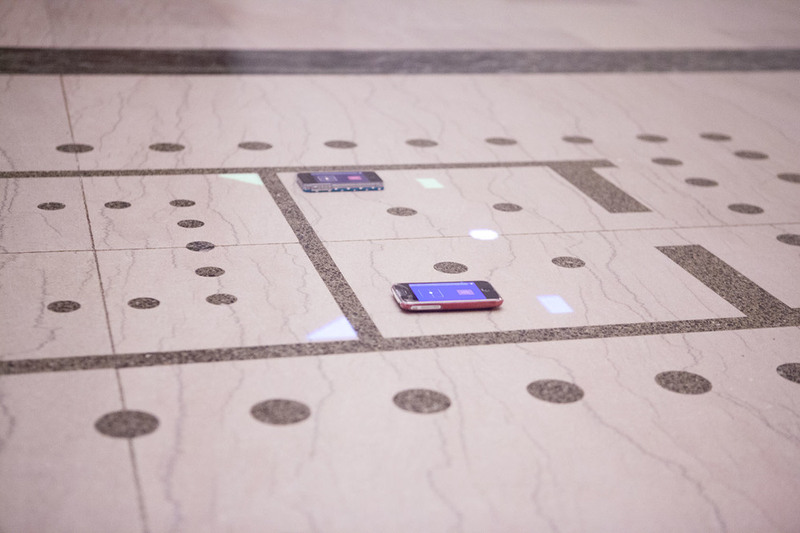 To achieve this, I created a site-specific augmented projection game that can only be played on one of the floor patterns in CFA. Two players use TouchOSC to guide their character through the floor space, and the objective of the game is to get the ball into a matching goal. The patterns on the floor serve as obstacles for the players, so they must maneuver around the shapes to reach their respective goals. I did not learn this until the day of my critique, but the patterns are actually representative of a floor-plan for an ancient building. With this in mind, it is interesting to see how a digital interface is overlaid on a traditional form. The game was created in Unity, with the help of this OSC library. Calibrating the projection was tricky as I needed to ensure that all the components lined up with the tile design. Adjustments had to be made both manually and programmatically. Because the accuracy of the projection was imperative to the gameplay, the calibration process alone took an average of two hours to complete. In the end I was satisfied with the outcome and would be interested in experimenting with larger-scale projections in the future.